RUSSIA — The ocean is home to some of the strangest creatures on the planet. Some of those strange creatures – goblin shark, blobfish and flapjack jellyfish, to name a few – are captured on photo and shared on a Twitter account. 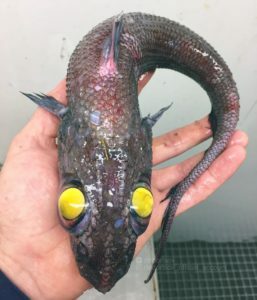 For those who enjoy looking at the most unusual, bizarre, and sometimes downright creepy-looking specimens found in the deep, dark sea, Roman Fyodorov’s Twitter is a complete catalog – and a few of the aforementioned fish have been featured catches on his social media account. Fyodorov is a processor on a fishing boat that drops a line in the ocean’s mesopelagic, or twilight zone, about 660 to 3,300 feet deep. 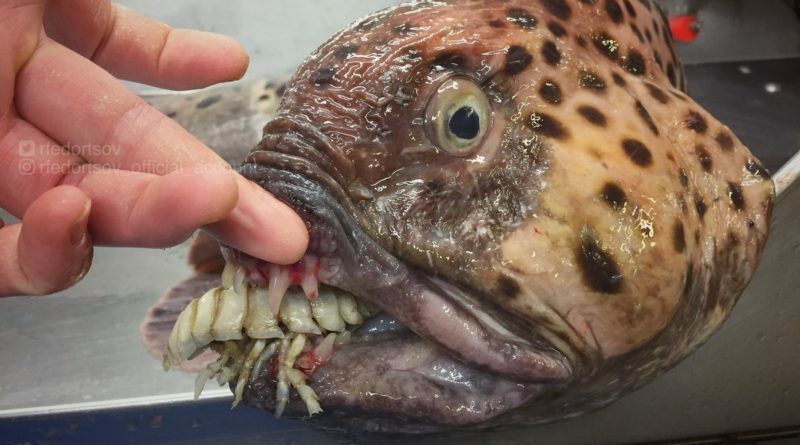 The fish harvested from the fishing boat has allowed Fyodorov to come across some truly fascinating – and rarely seen – species, including a wolf fish, frilled shark, deep-sea anemone, chimera, giant squid, pacu (whose teeth are eerily similar to that of humans) and more. Some of Fyodorov’s followers might think it is common for him to see such rare catches, but the fish processor is oftentimes baffled by what he sees. He regularly asks his Twitter followers if they can identify some of the strange creatures he has caught because – like the rest of us – he, too, is puzzled by his catches. To learn more about Fyodorov and his wacky catches, follow him on Twitter (@rfedortsov). Article written with sources from hoaxlie.com, Yahoo News UK and Daily Mail.